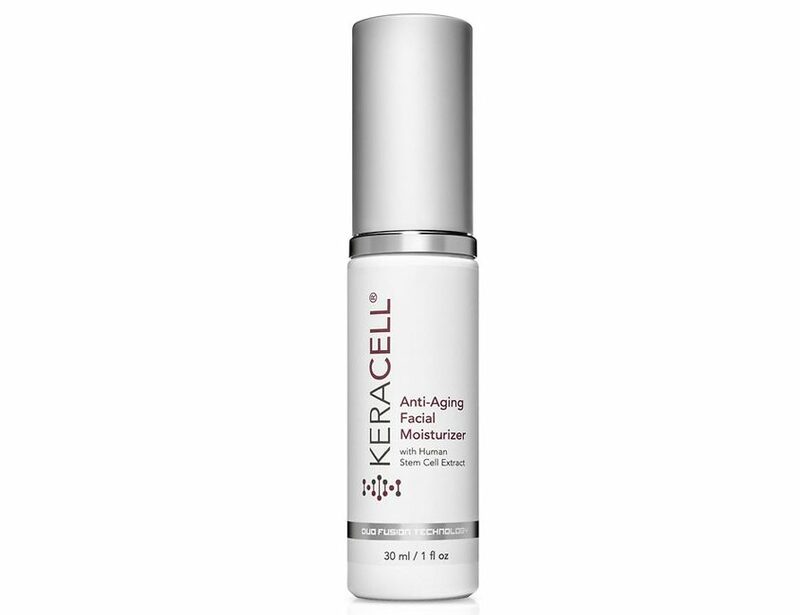 KERACELL® Anti-Aging Facial Moisturizer, featuring MHCsc technology, is a truly unique blend of the world’s finest ingredients. This powerful formula works synergistically with the stem cell growth factors, potent Peptides and anti-oxidants that help brighten, increase moisture retention, prevent senile degradation of micro-blood vessels in the skin, and helps reduce the appearance of fine lines and wrinkles. Skin becomes more nourished and supple, for a more youthful and healthy appearance. Deionized Water, Stem Cell Conditioned Media, Carthamus Tinctorius (Safflower) Oleosomes, Tremella Fuciformis Sporocarp (Mushroom) Extract (and), Betaine, Propanediol, Glycerin, Sodium Acrylates Copolymer (and) Lecithin, Hexapeptide-33, Hyaluronic Acid, Panthenol (Pro-Vitamin B5), Swertia Chirata Extract (and) Maltodextrin, Tocopheryl Acetate (Vitamin E Acetate), Tetrahexyldecyl Ascorbate (Vitamin C Ester), Phenoxyethanol, Ethylhexylglycerin, Natural Fragrance. Apply one to two pumps of moisturizer to freshly cleansed skin. Massage into face, throat and décolleté using upward strokes. Allow to absorb completely and then follow your normal skin care beauty routine.